East Asia has a high number of global cities, according to a biannual ranking, while ASEAN and South Asia lag behind. According to A.T. Kearney’s 2014 Global Cities Index, the Asia-Pacific region has a number of the world’s most global cities. 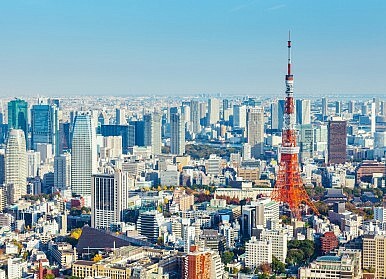 The highest rated Asia-Pacific city was Tokyo, ranked fourth, followed by Hong Kong at fifth and Beijing and Singapore at eighth and ninth respectively. Seoul (12), Sydney (14), Shanghai (18) were also highly rated, giving the Asia-Pacific region seven of the spots in the top 20. By comparison, North America had five cities in the top 20 but four in the top ten: New York (1), Los Angeles (6), Chicago (7), and Washington D.C. (10). Of the remaining top 20 cities, seven were in Europe (including Moscow), and Buenos Aires was South America’s sole representative. The Global Cities Index (GCI) rates cities for global engagement in five different areas: business activity, human capital, information exchange, cultural exchange, and political engagement. For the top Asia-Pacific cities, many were especially strong on business activity but scored relatively lower on human capital (with Hong Kong and Sydney being notable exceptions). GCI explained that human capital rankings are based in part by the size of the foreign-born population, meaning that cities with large immigrant populations would tend to score better on this particular metric. Notably, much of the Asia-Pacific’s success in the rankings is due to good performances by East Asian cities. A.T. Kearney, in its analysis of the data, especially noted that “Singapore, at ninth place in the GCI, is clearly in a league of its own among cities in Southeast Asia.” Besides Singapore, the highest ranked city in Southeast Asia was Bangkok at number 42. Other ASEAN cities on the ranking failed to even crack the top 50, with Jakarta (51), Kuala Lumpur (53), Manila (63), Ho Chi Minh City (70) all coming lower on the list. South Asia didn’t fare much better. The highest ranked South Asian city by far was Mumbai at number 41. India was also represented on the GCI by New Delhi (57), Chennai, (72), and Kolkata (79). Pakistan had two cities on the list, Karachi (76) and Lahore (82) and Bangladesh’s capital Dhaka came in at number 75. While Southeast and South Asia had a poor showing on the GCI, they did remarkably better on the accompanying “Emerging Cities Outlook” (ECO). The ECO measures the potential of cities to become more global in the future based on how quickly cities in low- and middle-income countries have been improving their rankings. Jakarta and Manila topped this list at first and second respectively, with New Delhi (5), Mumbai (8), and Kuala Lumpur (10) also making the top ten. India was especially well-represented on the ECO—in addition to New Delhi and Mumbai, the cities of Bangalore (11), Kolkata (14), and Chennai (17) also made the top 20. Optimistic projections for Southeast and South Asia global cities match with rosy economic forecasts for those regions. According to the Organization for Economic Cooperation and Development (OECD), Southeast Asia is expected to average 5.4 percent growth over the next four years, with India projected to grow at an average pace of 5.9 percent per year over the same period. Accordingly, Southeast and South Asian cities should get a boost in the two most important categories, business activity and human capital (as people migrate to cities where business is booming). Still, global growth projections aren’t everything. Though the OECD predicts an average growth rate of 7.7 percent for China from 2014 to 2018, only one Chinese city cracked the top 20 on the ECO: Beijing (12). On one hand, this indicates that Beijing could again move up several spots on next year’s GCI proper. On the other hand, the absence of less-global Chinese cities from the ECO hints that cities like Chongqing, Shenzhen, and Guangzhou are not rapidly increasing their rankings the way that major South and Southeast Asian cities are. Some of the most at-risk cities in the world can be found in Asia, according to one report.